Once again I have been blessed with another guest post on my blog. And although the last two writers do not know each other, they both are steering towards writing on green transportation, a topic which hits home to us all. Enjoy this fascinating read. Ryan’s been in love with cars since he was 7 years old, when he watched his dad restore a 1970 Buick GSX. He writes about the auto industry for a variety of blogs. The last thing you want to happen when stopped at a red light is for your engine to shut off. Or is it? Three years ago, Ford developed an auto stop-start system that shuts its hybrids off when stopped, then automatically restarts, saving both fuel and emissions. New green car technology is playing a huge role in creating a new generation of greener, fuel efficient vehicles with a lower environmental impact. These technologies are being integrated into transportation that offers all the functionality and driving experiences we have come to expect in a vehicle, with the added improved environmental impact. Take for example, the Armadillo-T electric car. While it doesn’t exactly roll up like an armadillo, it does roll up on itself, which enables it to take up less parking space. By lowering a set of castors in the middle of its chassis, the entire rear of the mini-car is able to flip over the front, which raises the rear wheels off the ground. When curled up and locked, the car’s interior is protected from the elements and from theft. Time.com says this folding process takes only about 15 seconds, reducing the vehicle’s length from 110 inches to just 65 – and, it can be instigated by using your smartphone. With a top speed of 37 mph, it is not freeway-capable, but it has a 60-mile range, perfect for city-only driving. Ever since the old buggy days, car windows have traditionally been made out of glass. Laminated glass is strong, transparent and shatter-resistant. However, it is also heavy, making up to 100 pounds of a car’s weight. Because car manufacturers are increasingly weight conscious, you may soon see glass windows – at least some of them – replaced with polycarbonates, cutting that weight by half, according to MotorAuthority.com. The polycarbonate wouldn’t be used throughout – it is actually too strong, posing a hazard for first responders after an accident if installed as windshields or side windows – but would instead be used in sunroofs and rear windows, reducing weight where appropriate. When thinking about the uses of herbs, you probably wouldn’t expect to find them in your electric car battery. However, the Madder plant, commonly called Rubia, could serve as a natural cathode for electric car batteries. Rubia contains an organic dye called purpurin, which has been used as a fabric dye since ancient times. According to ScienceBlog.com, scientists at the City College of New York and Rice University have discovered that the dye is also an excellent natural cathode for lithium ion batteries. As lithium-ion batteries aren’t very environmentally friendly, finding a renewable resource like purpurin to replace lithium and cobalt cathodes would make car batteries greener. With the move toward greener automotive technology, it shouldn’t come as any surprise that the after-market is greener, as well. While years ago you might have struggled to find a “green” car on a used car website, as vehicles become more reliable and are lasting longer, the opportunity to buy a “gently used”, environmentally friendly car becomes much more widely available. 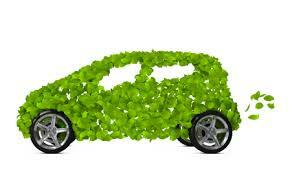 Finding a used car that allows you to drive green, while delivering the highest fuel efficiency may be one of the best ways to reduce your carbon footprint while saving money.